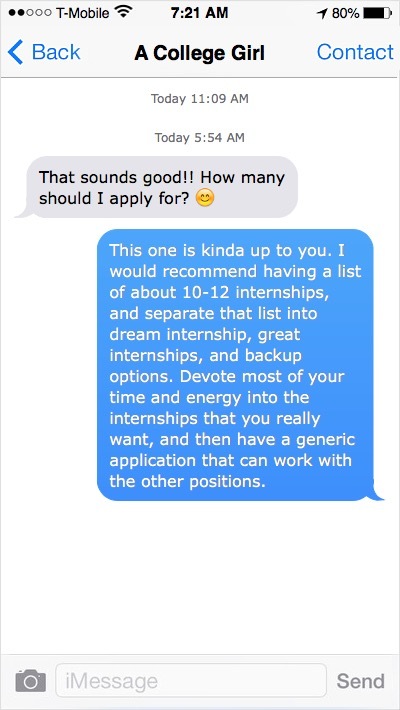 Internships seem to be on everybody’s mind lately. As the end of the school year rapidly approaches, everyone is starting to figure out what they are going to do during the long summer vacation. A lot of students have started weeding through the extensive list of internships online in hopes of finding one that they can apply for. Its a long, tedious process, but an excellent way to get exposed to an industry you want to work for. Since internship season is here, I thought it would be helpful to create a mini-series all about internships, from first steps to finding a job posting online, to how to wow your boss in the office! There’s going to be lots of exciting content, so make sure you follow along by subscribing to the social media below and joining A College Girl’s mailing list to get a monthly newsletter curated towards students like yourself! Sign up with your email address to receive monthly newsletters and bonuses! Without further ado, let’s get started. Today’s post is going to be about the basics of internships; what they are, where to find them, and what you need to apply. Enjoy! I hope you enjoyed this blog post, the style is a little different then usual, but I thought it would be a fun way to tell you about internships! Let me know if you like this style in the comment's below and I'll try and make more posts like this, thanks!